Remote Working Benefits. Remote Working Policy Benefits and Risks. The benefits and risks of introducing a Remote Working Policy. What is the definition of Remote Working? Remote working (also referred to as ‘Telecommuting’) refers to an arrangement that allows an employee to work from home or another distance location either permanently, Ad-hoc, or for a set number of days per week. The number of Companies that allow Remote Working has increased exponentially thanks to advances in Business Technology, improved Internet Connectivity and an abundance of productivity tools that can be accessed from the Cloud. If you apply these tools correctly, there should be nothing stopping you from being just as productive, if not MORE productive when working from a flexible work space. How many people work remotely in the UK? 54% of UK office workers are allowed to work remotely (source). The idea that employees are less productive when working from home is a common misconception. From our experience, the reality is that most remote workers are MORE productive than their office-based colleagues. Continue reading to find out why. Although Remote Working has many advantages, there are also several potential risks that employers need to consider. We’ve listed these risks below, along with a list of compelling advantages that will help you create a Business case for introducing a Remote Working policy. What are the benefits of introducing a Remote Working policy? The following list of tangible benefits will help quash any doubts that you have about allowing your valued staff to work remotely. As already mentioned, the idea that employees are less productive when working remotely is a misconception. According to a survey of 3000+ professionals by FlexJobs, 65% of workers believe they would be more productive telecommuting than working in a traditional workplace (source). The same survey also highlighted that the top reason people are (or would be) more productive is because of fewer interruptions from their colleagues. Other reasons include fewer distractions, a reduction in office politics and less frequent meetings! 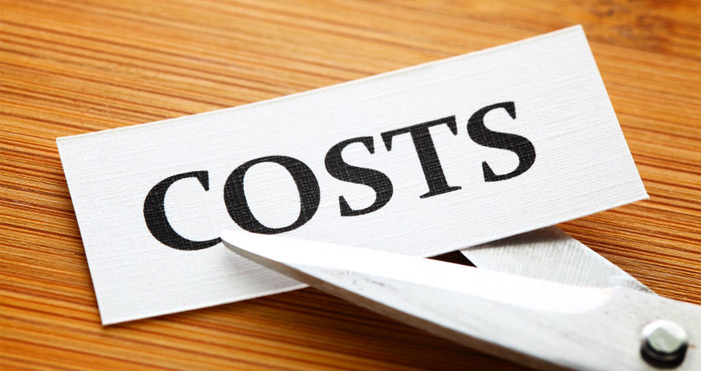 Reduced costs (for both the employer and employee). Allowing your valued staff to work remotely will increase employee satisfaction by improving their financial situation. Potentially, your staff will make substantial savings on transport costs, parking charges, eating out to lunch and even workwear. Reduced annual energy usage – You’ll notice substantial savings on gas and electricity costs if you have less people in the workplace day-to-day. Reduced IT CapEx – If you have less staff in the office then you won’t need to invest in as much IT equipment, such as Computers, peripherals and consumables. You’ll need less office equipment and materials – including stationary, refreshments and office furniture. Reduced commuting time for your staff. According to research conducted by Instant Offices, Londoners currently have an average commute time of 74 minutes a day (source). This is the longest average commuting time in the country. The daily commute to work is a stressful experience for most of us, no matter where we are located in the Country. Sitting in rush hour traffic, or standing in a packed sweaty underground train can lead to elevated levels of stress that will affect the performance of your staff then they arrive at the office. By allowing your staff to work from home, they will be less stressed and in a positive frame of mind at the start of working day. The outcome is an increase in productivity and employee satisfaction. Promote a better work/life balance for your staff. The negative effects of extended working hours are well publicised. An article I recently read online stated that on average, Londoners typically work up to 3 weeks longer per year than anywhere else in the Country. I’m sure there’s plenty of people outside of the capital that would contest this! However, I am intentionally highlighting the point that not all of us are very disciplined when it comes to getting the work/life balance right. Allowing your staff to work remotely will have a positive impact on their quality of life and ensure they strike a healthy work/life balance by giving them the time and flexibility to balance their family life with their working day. For example, remote working is beneficial for employees that are parents with young families because it allows them to spend more time with their Children by avoiding the daily commute. Recruit better staff and Increase employee retention. Introducing a Remote Working Policy can help attract a better calibre of staff to your Business. According to this wonderful Infographic from Nimvelo, 2 out of 3 people want to work from home and 36% of people would choose this over a pay rise! 68% of millennial’s said that an option to work remotely would greatly increase their interest. Introducing a Remote Working Policy will help you increase your employee retention. Good staff are hard to find, so it’s important to look after employees that make a valuable contribution to your Business. One way of doing this is to offer them the option of working remotely for a set number of days per week, or indefinitely. If they are trusted and established members of staff, then you’ll already know that they can be trusted to work away from office unmonitored, so why not give them the option? Increase innovation and creative output. Employees that work remotely often find it easier to be more creative and innovative. This is particularly beneficial to Organisations from the creative and media industry sectors. Many reasons for this have already been highlighted in the above points. Remote workers tend to find it easier to concentrate on their work due to less distractions from their colleagues and their peers. There is nothing more distracting then office politics, or someone on the desk next to you having an in-depth conversation about a completely different subject while you are trying to focus on the task at hand! What are the disadvantages of Remote Working? The above advantages of remote working are challenged by the following list of seven key disadvantages that need to be considered before you commit to introducing a Remote Working Policy. The human element – Not everyone has the discipline to work effectively from home. Depending on your employee’s circumstances, they may be working in a home environment that holds too many distractions, and so it will be more beneficial for them to work from the office. In general, your most productive and reliable established staff members are the ones that can be trusted to work from home unmonitored. Out of sight, out of mind – Sometimes, Remote Workers do not receive the same levels of care and attention given to their office-based colleagues because they are out of sight. To keep your remote staff integral to you and your team, it is essential to implement the tools and processes necessary to maintain a healthy level of communication – ensuring that your remote staff are included in any Company announcements, updates and team building exercises, in addition to any regular team meetings via Video Conferencing. Failure to communicate – Leading on from the above point, failure to implement an effective communications strategy can be detrimental to productivity and profitability, especially if it is stopping your staff from collaborating on tasks and projects. Make sure that you schedule catch-up meetings and apply effective collaboration tools such as Microsoft Teams, SharePoint, 3CX, Slack and many other reputable solutions. Resentment from colleagues – Unfortunately, it is common for office-based workers to resent staff members that are allowed to work from home. There are many reasons for this. For example, some of your staff may feel that Remote Workers are favoured because they get to benefit from the many advantages associated with Remote Working. It is also common to observe resentment from established employees towards newly appointment staff members that are allowed to work from home. The Trust factor – Many people visualise Remote Workers sitting at their desk in their pyjamas with a warm cup of Cocoa, checking their email from time-to-time and doing very little work because they are not monitored. If not addressed, this resentment can slowly spread and affect team performance, which will affect your productivity and profitability in the long term. It’s important to demonstrate that Remote Workers are fully accountable for their work and their productivity is being monitored at all times. The Technology Factor – Not every employee will have the technology required to work from home effectively. For example, they may not own a Desktop PC or laptop with the minimum specification required to run certain applications. Also, do your staff have an acceptable Broadband connection at home? Slow or intermittent Internet connectivity will greatly hinder Remote Workers, especially if they are using Cloud-based platforms and services. For valued staff members, you may need to invest in new technologies that will allow them to work seamlessly from home. Objections from middle management – Following on from the trust and resentment points highlighted above, you may also experience objections against Remote Working from middle management if they have concerns about flexible working hindering Business performance. What technology do you need to work remotely? If you want your Remote Working Policy to succeed, then it is critical to implement the technology necessary to ensure seamless Communication and collaboration between your office-based employees and Remote workers. There are MANY tools available on the market. Here’s a list of 10 most commonly used tools and Applications for working remotely. Office 365 Business – Access Microsoft’s entire suite of Office applications from the Cloud, including Word, Excel PowerPoint and more apps detailed below. Microsoft Teams – Included with Office 365 Business, Teams is an essential online collaboration tool that incorporates messaging, Video conferencing, document sharing and more. Slack – Slack is another online collaboration tool that is very popular in the creative sector. Slack allows you to organise conversations by projects, topics and teams. SharePoint – Also part of Office 365 Business, Microsoft SharePoint is an incredibly powerful and flexible online collaboration tool that incorporates many features. SharePoint is a particularly effective document management solution. G-Suite (formally Google Apps) – G-suite is Googles very own productivity suite that is designed for the workplace. G-suite includes a portfolio of applications that are very similar to Office 365 Business. 3CX – 3CX is a Cloud-based unified communications solution that incorporates VoIP PBX telephony, messaging and Video Conferencing. Dropbox Business – Dropbox Business provides a central place to access and share files. Dropbox features a minimum 3TB of storage space, 120 days of file recovery, file sharing via secure links, team folder management and user permissions lists. Harvest – Harvest makes it easy for you to track your employees time and expenses by giving you access to critical data – allowing you to see how much time your Remote workers have spent working on projects and tasks for specific clients. Intercom – Intercom is a suite of modern products for sales, support and marketing. Connect with your customers by managing conversations, send targeted messages that encourage leads to take action and track, filter and segment your customer data. Basecamp – Basecamp is an exceptional Cloud-based Project Management and team communications solution. Basecamp brings Remote Workers and office-based staff together to collaborate on projects and be accountable for tasks and milestones. What jobs are suitable for Remote working? If you are unsure that a Remote Working Policy is right for your Business, then you may wish to consider a trial period. Choose trusted and reliable employees to work remotely and then use this trial period to demonstrate the tangible benefits, disadvantages and real-world outcomes. Lastly, consider taking a gradual approach to introducing a Remote Working Policy. For example, you could initially allow your employees to work from home for two days a week, then gradually increase this to five days once they have gained your trust and you are confident they can be just as productive when working away from the office. We hope that the above information will prove beneficial when considering a Remote Working Policy for your Business. The advantages of allowing your employees to work remotely far outweigh the risks, but it is important to take all of the points from both of the above lists into consideration before making the decision to introduce a Remote Working Policy. Looking for assistance with Remote Working? Ohso Technical provides consultancy and technology implementation services to Organisations that are looking to take advantage of Remote Working Benefits. Call 02039635533 and have a no-obligation conversation with a member of our consultancy team today.